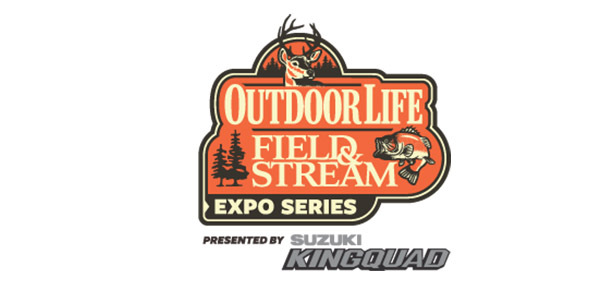 Suzuki Motor of America, Inc. announced a partnership with Bonnier Events in a multi-year sponsorship of the Outdoor Life/Field & Stream Expo Series Presented by Suzuki KingQuad. As the title sponsor for 2019 and 2020, Suzuki will magnify exposure of its full 2019 KingQuad ATV line-up during the expo’s five stop series to hunting, fishing and outdoor lifestyle audiences. The expo’s first stop will be at the Kentucky Exposition Center in Louisville, Kentucky on Jan. 18. In addition to the KingQuad family of ATVs, select 2019 Suzuki off-road motorcycle and youth ATV models will also be on display at all Outdoor Life/Field & Stream Expo Series stops to increase awareness of Suzuki products and their valued outdoor capabilities. After the Expo’s inaugural event in Kentucky, the five-stop series will continue to Lansing, MI (March 8-10); Columbus, OH (March 15 – 17); Madison, WI (March 29-31); and Lakeland, FL (July 26-28).